Casey first became interested in geology after visiting the Black Hills of South Dakota, where she saw hillsides sparkling with muscovite mica. 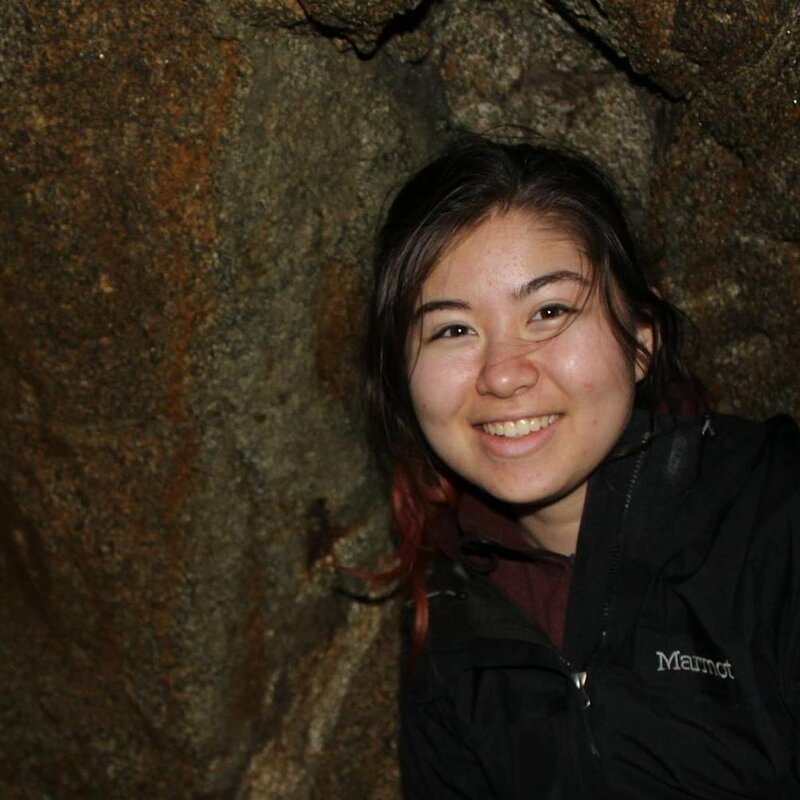 She has worked on a research project studying the Paleocene-Eocene Thermal Maximum under Professor Aradhna Tripati and currently she is studying the crustal thickening history of Southern Tibet under Professor Mark Harrison. In her free time, she enjoys hiking and alpine climbing. Marina became interested in geology after my first camping trip to Anza-Borrego Desert State Park in community college and decided to major in geology after taking a few field classes before transferring. Marina is currently working on an Optically-Stimulated Luminescence dating project under Professor Seulgi Moon. Lauren first became interested in geology when she went on a field trip to Yosemite Valley and learned about the massive glaciation event that took place. She is currently a research assistant in Dr. Tripati's lab using geochemical methods to study Paleoclimatology. Ellen became interested in geology at a young age as her geologist mother explained the Colorado River carving out The Grand Canyon and how the Sierra Nevada Batholith formed incredible mountains.